Most of users login into their favorite websites such as facebook, myspace, twitter, ebay, gmail, yahoo etc. for several times per day. For convenience, they probably save(remember) their passwords in web browsers when they login in to websites. After remember their passwords, when they go to login pages, it will display the username and password as dots. Then they can login without typing passwords. In this article, i will discuss on how to get these remembered passwords in web browsers. 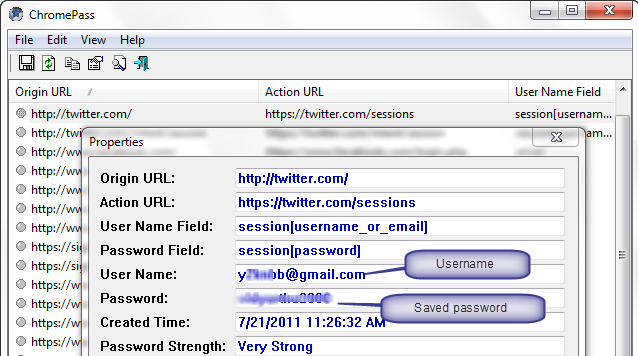 I will give you small application pack for recovering your passwords from web browser. After run this application you will get passwords. Yes, i am from Sri lanka.